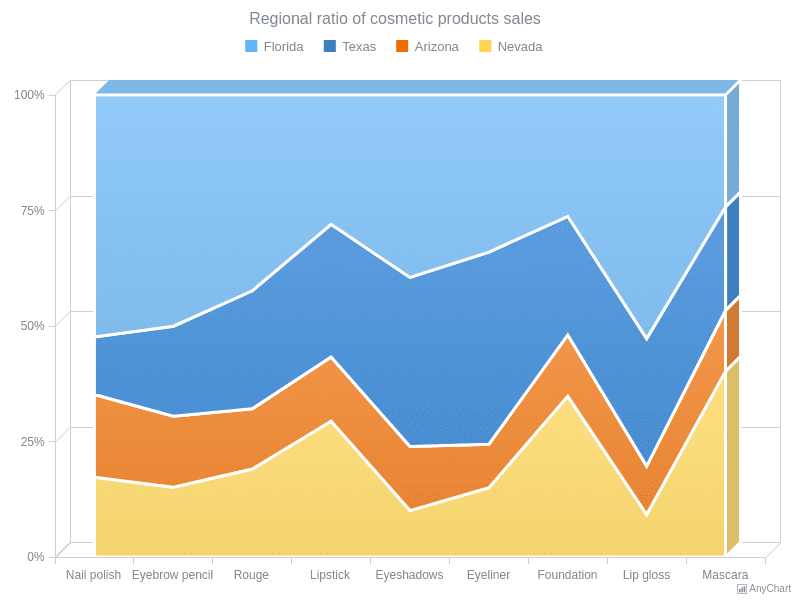 100 Stacked 3D Area ChartA volumetric Area chart demonstrating the revenue ratio from cosmetic products sold in Florida, Texas, Arizona and Nevada. All revenue got from each item is taken as a whole (100%). 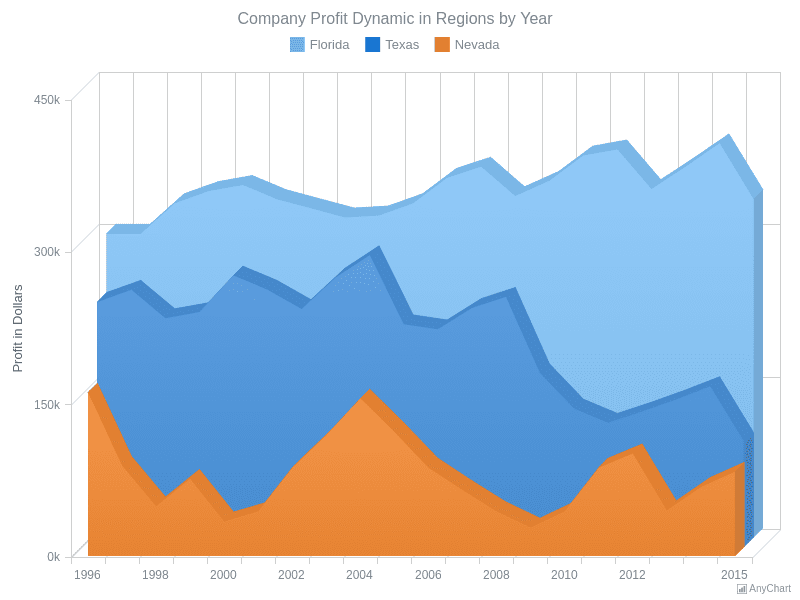 3D Area ChartThis Chart shows the changes in a some company profit in a time period from 1996 till 2015 in three regions: Florida, Texas and Nevada. 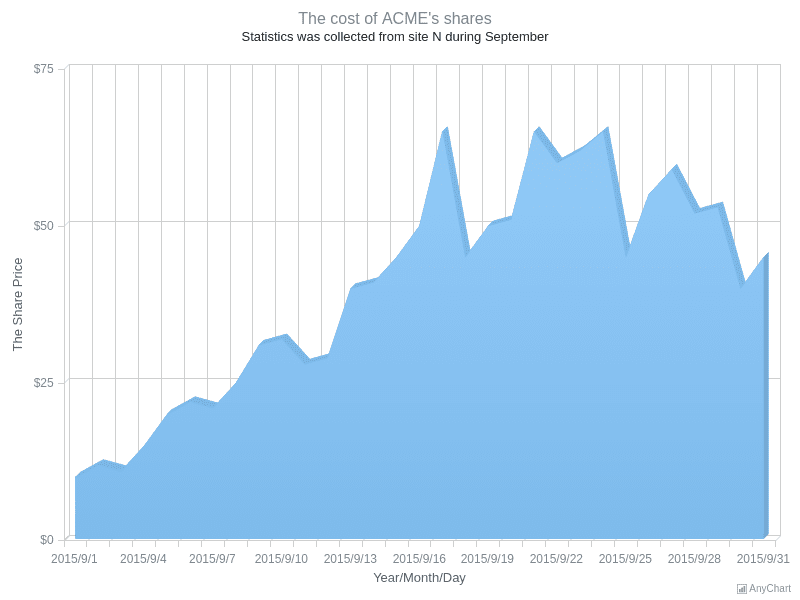 The values are given in thousands of dollars. 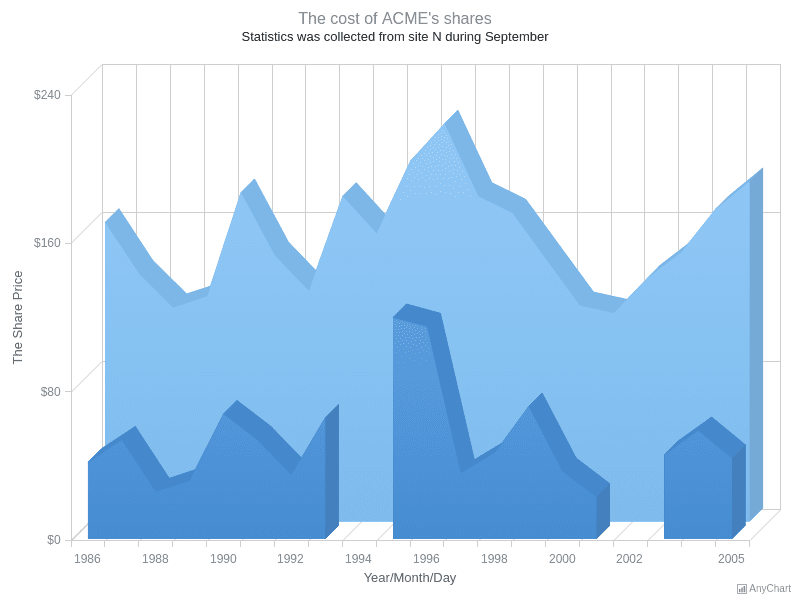 Multi-Series 3D Area Chart with HatchFillThis Chart demonstrates how the ACME Corp. and its competitor's share average prices in dollars were changing from 1986 till 2005. 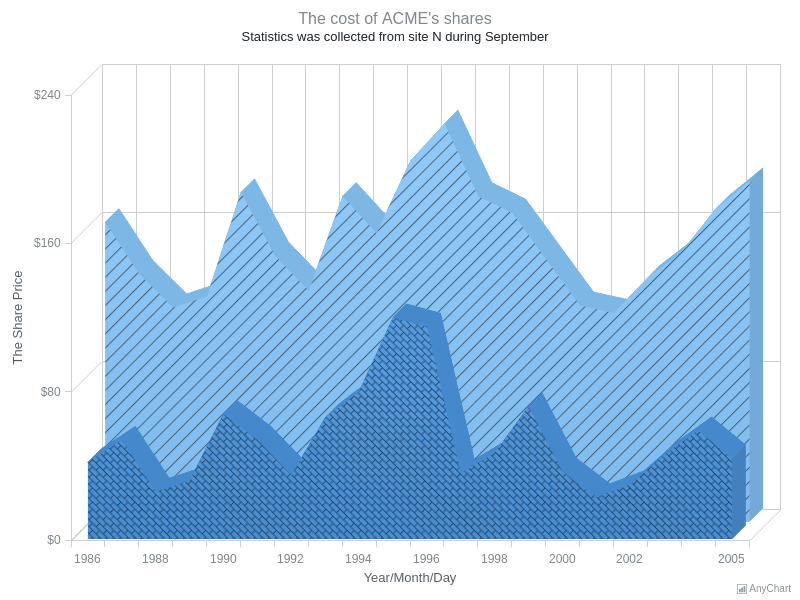 Multi-Series 3D Area Chart with Missing PointsA 3D Area Chart showing share prices of the ACME Corp. and another unnamed competitor company change from 1986 till 2005 with two values for the second company missing. 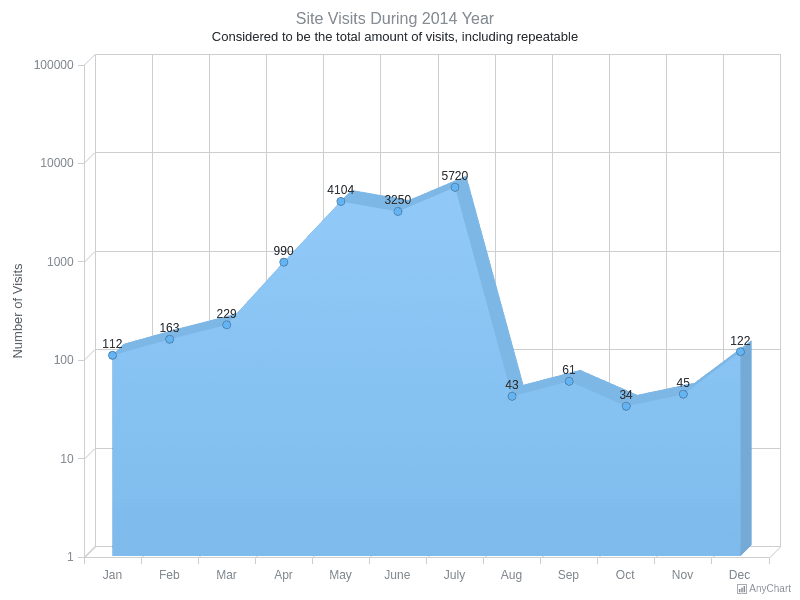 Single-Series-3D Area Chart with Logarithmic Y-AxisA 3D Area Chart using a logarithmic Y-Axis because of wide spread of values, demonstrating the changes of a site visits amount during 2014 year. 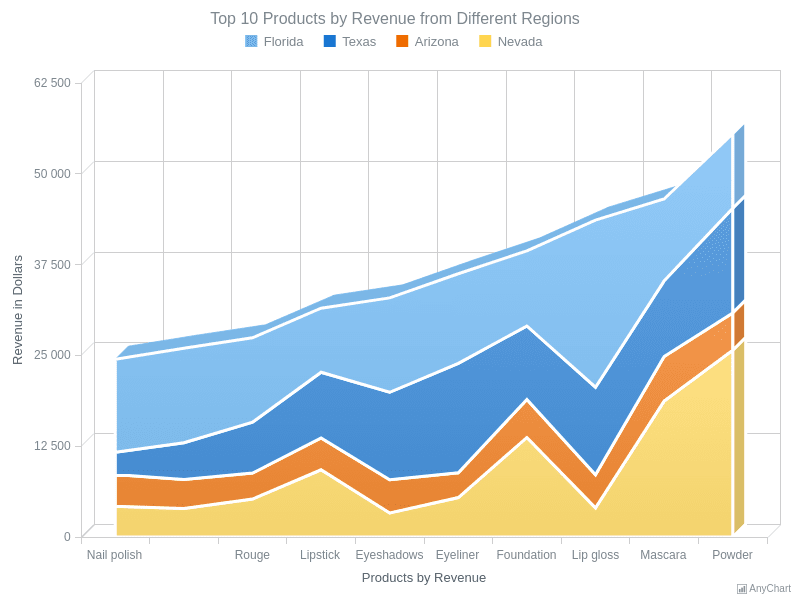 Stacked 3D Area ChartA chart with four Stacked Area series showing the revenue got from top 10 products selling in Arizona, Florida, Nevada and Texas.